Serinium® Jewelry – Rings crafted of Serinium® glow with beauty that will endure for a lifetime. Jewelry Innovations has been at the forefront of contemporary metal jewelry design for over 20 years. Serinium® is the finest and safest of the contemporary jewelry metals, combining the best qualities of other contemporary metals with none of the drawbacks. As the exclusive source for Serinium®, Jewelry Innovations has created a stunning collection of styles crafted in this extraordinary metal. 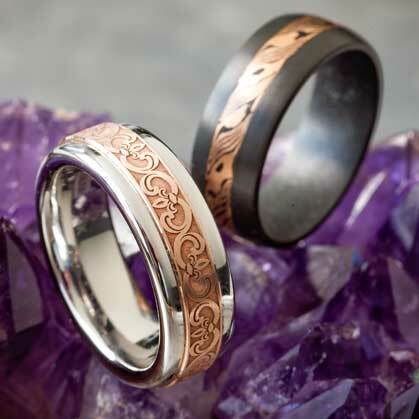 Whether set with diamonds, inlaid with precious metals such as gold, silver or copper; or embellished with engraving and hi-tech carbon fiber or rugged camouflage, there is a Serinium® ring that will make your own unique statement. Serinium ® is protected by U.S. Patent No. 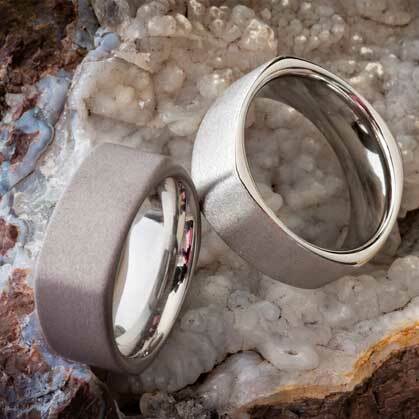 9,289,037, a high tech alloy of cobalt and a number of other elements, whose unique formula and proprietary manufacturing process make it harder, stronger and safer than other jewelry metals. Serinium® is the safest of the precious contemporary jewelry metals, and can be quickly and safely removed in an emergency with commonly available tools, such as a standard ring cracker or even a pair of vice-grip pliers. Watch our safety video.